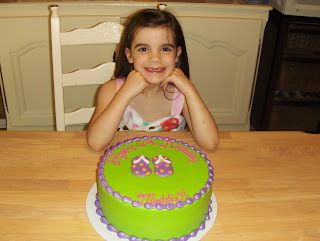 Well, we made it through the parties for Maddie's sixth birthday! 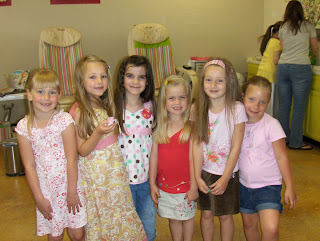 The first was her 'friend party' she invited five of her friends and treated them to manicures and pedicures. It was a whole lot of fun. All the girls picked the nail color and design they wanted. 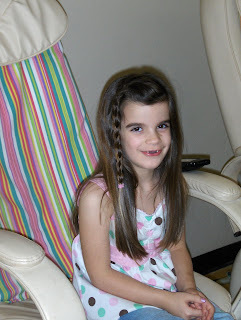 Maddie chose silver polish with a rhinestone flower on each thumb and each of her big toes. 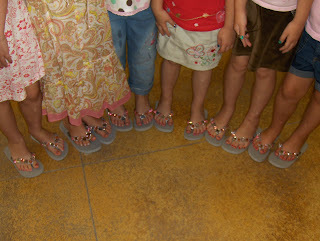 Maddie and I decorated flip flops for each of the girls. 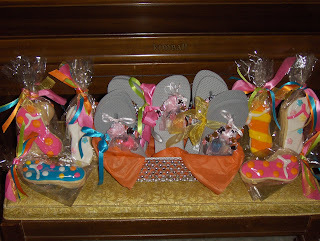 My BFF Laura's daughter, Adriann made these incredible flip flop cookies! Oh so cute! The party was a success and fun was had by all! 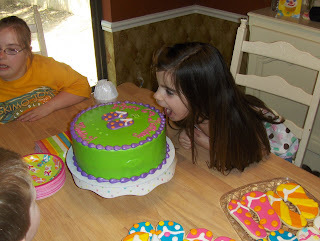 The second party was the 'family party' which is always fun. 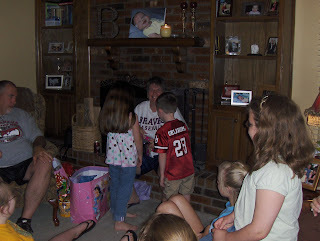 I love being with my brothers, sisters, nieces, nephews, in-laws and my mom. Laughter abounds when we're all together. 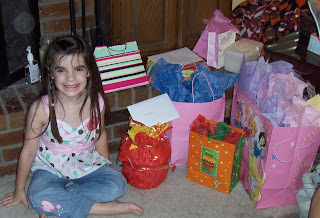 Everyone came to our house at 4pm for cake and ice cream and the opening of the fabulous gifts! Okay so one gift not so fabulous in my opinion, but the bomb dot com in Maddie's world! 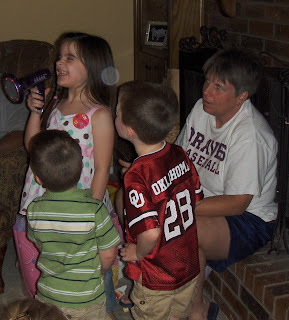 The megaphone from Grandma Jill. Mom, seriously? What on earth did I do to deserve that? It's almost as bad as the book of 365 days worth of Knock, Knock jokes from the other grandparents! :) The megaphone has the ability to change the sound of your voice, very loudly and officially became an outside toy this evening! Kim, why are you laughing so hard? In all seriousness we'd like to thank everyone who came and celebrated our girl with us! It was a lot of fun and so great to see everyone! Tomorrow is Memorial Day and we will bring Fletcher home for the afternoon. We're really looking forward to having him here. We'll have Craig's family over and grill some burgers and eat some great food. But, we'll also be thankful for the men and women who have and are serving our country so we can be safe. God bless you all! I had a blast and yu are right it is so much fun to get together. I just wish it was more often.